Department of Computer Science, Virginia Tech. Data movement in high-performance computing systems accelerated by graphics processing units (GPUs) remains a challenging problem. Data communication in popular parallel programming models, such as the Message Passing Interface (MPI), is currently limited to the data stored in the CPU memory space. Auxiliary memory systems, such as GPU memory, are not integrated into such data movement frameworks, thus providing applications with no direct mechanism to perform end-to-end data movement. We introduce MPI-ACC, an integrated and extensible framework that allows end-to-end data movement in accelerator-based systems. MPI-ACC provides productivity and performance benefits by integrating support for auxiliary memory spaces into MPI. MPI-ACC’s runtime system enables several key optimizations, including pipelining of data transfers and balancing of communication based on accelerator and node architecture. 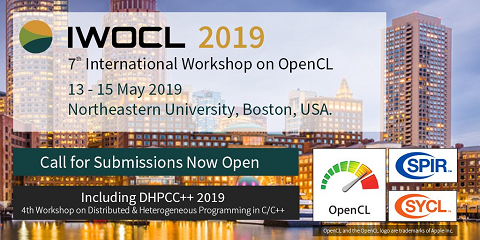 We demonstrate the extensible design of MPIACC by using the popular CUDA and OpenCL accelerator programming interfaces. We examine the impact of MPI-ACC on communication performance and evaluate application-level benefits on a large-scale epidemiology simulation.